Stream classification information is essential to develop and implement flow standards and water management recommendations that will sustain aquatic biodiversity. Unfortunately, standardized information was lacking for the Appalachian landscape. The goal of this project was to develop a state-based, consistent stream classification system for aquatic ecosystems in the region. 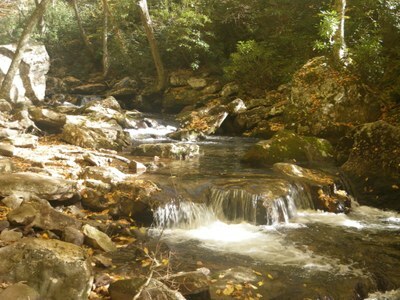 Unifying state-based stream classifications into a single consistent system, principal investigators at The Nature Conservancy developed a hierarchical classification system and map for stream and river systems for the Appalachian LCC that represents the region’s natural flowing aquatic habitats. It represents aquatic habitat types across this region in a manner that is appropriate and useful for building ecological flow ecology relationships and other conservation planning tools. The study includes a "Story Map" illustrating the mapped classification system for streams and rivers, a report describing the methods used to evaluate and develop the classification system, a literature review of existing stream classifications, and a GIS stream data set. The results from this project can be used to understand ecological flow relationships and inform conservation planning for aquatic biodiversity in the region. View a video presentation by Mark Anderson and Arlene Olivero Sheldon of The Nature Conservancy, which provides an overview of The Stream Classification System research, design, and major deliverables.